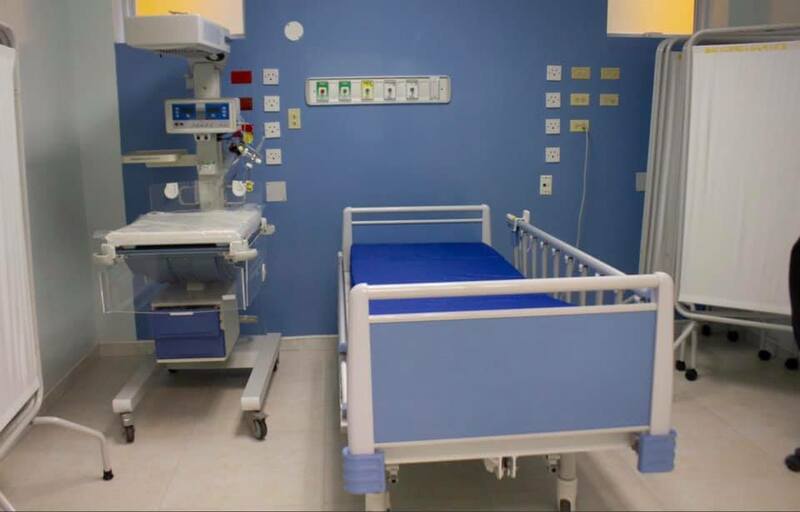 Prime Minister Andrew Holness announced the new Paediatric Cardiac Centre at the Bustamante Hospital for Children on his Facebook Page on Tuesday 16. He emphasized that the Centre is now operational. " "This state-of-the-art Paediatric Cardiac Centre contains a 10-bed Intensive Care unit, an Operating theatre and a Biplane Catheterization laboratory. 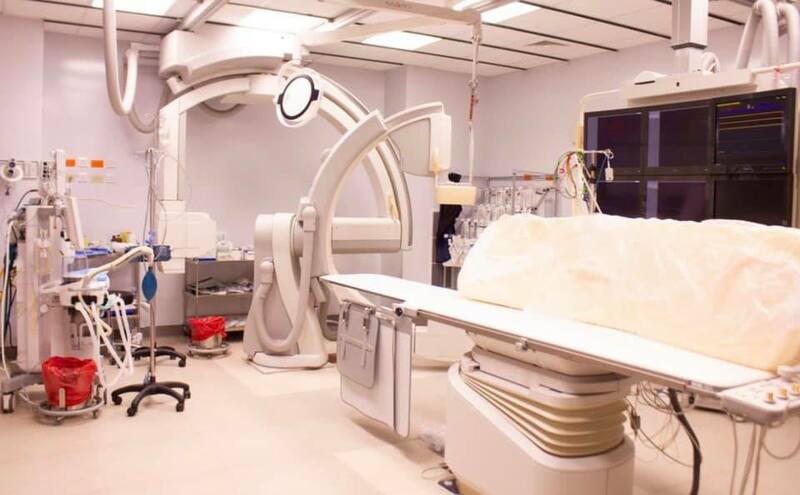 It is the only cardiac centre within the English speaking Caribbean and will help to save the lives of many children not just in Jamaica but across the region", the Prime Minister wrote. The Bustamante Hospital for Children was established in 1963 and has serves approximately 35,887 outpatients and 70,331 casualties per year. The state-of-the-art Paediatric Cardiac Centre was opened at the Bustamante Hospital For Children Monday morning. Minister of Health Dr Christopher Tufton reveal that the facility is valued at an estimated US$5 million. 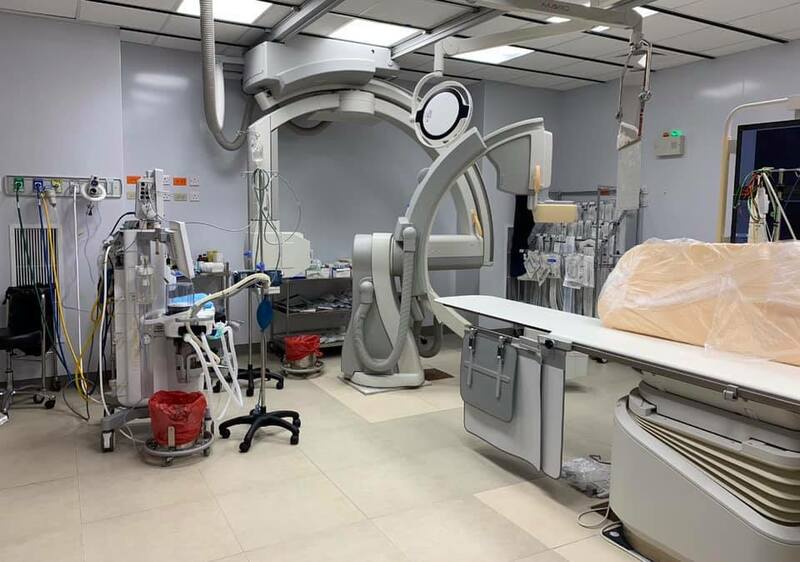 According to Loop, the facility will offer surgical and after-care cardiac services for children and accommodate 10 patients with,intensive care unit, an operating theatre and a biplane catheterisation laboratory. 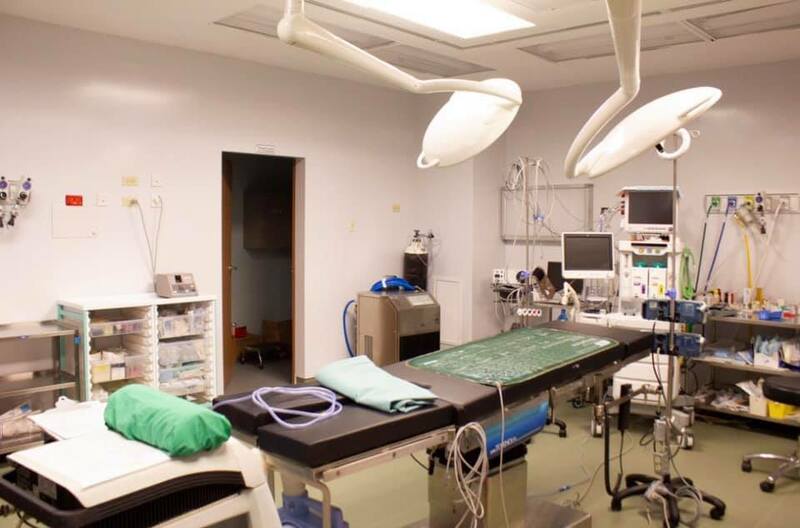 It will be able to conduct 220 cardiac procedures each year. The centre will also provide specialised training for surgeons, nurses and other paediatric cardiac personnel, and will also be used to conduct research. Approximately 400 children are born each year in Jamaica with congenital heart disease, half of which will need some form of corrective procedure, either by open heart surgery or catheter interventions. Prime Minister Andrew Holness announced on April 11 that there are plans to build two additional centers for women affected by domestic abuse. The announcement was made right after the murder suicide of Roulene Clarke Gowans and Patrick Gowans. The Prime Minister urged everyone to "reject violence in all its forms". "We must work to remove the culture of violence in our society. Intimate partner violence has many victims, not only the couple involved but particularly children. I again urge anyone who knows of instances of domestic violence to report the matter; and for victims to leave. The Government through the Ministry of Gender has established shelters for women affected. I know our security forces are doing more to deal with domestic violence cases. Last year I made the plea and I will repeat, we all must get involved and do more to address and report domestic violence cases", the Prime Minister said. The murder suicide shook the Island on April 10. A correctional officer shot and killed his estranged wife, who is also a correctional officer, on Waltham Park Road in Kingston. The murder happened in front of their 12-year-old daughter who was left traumatised after the horrific incident. 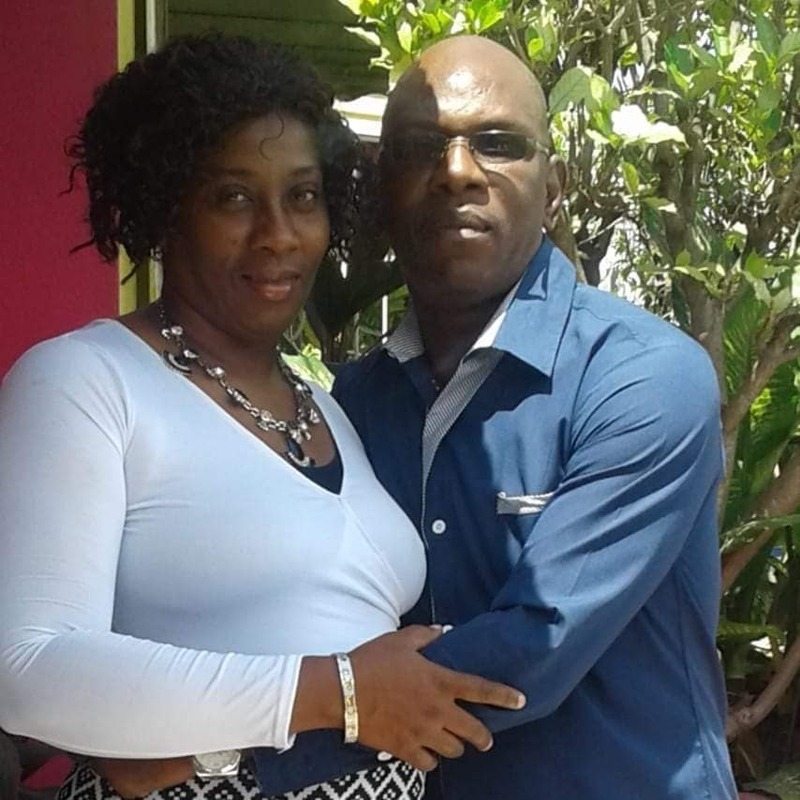 According to The Gleaner,It is reported Rouleene Clarke-Gowans, 42, and her husband, Patrick Gowans recently separated and the woman moved out of the house they shared. One witness, around 7 o'clock, the woman was seen running with her hands in the air as she pleaded "no, no, no!" He said the man then opened fire hitting her in her head and she collapsed. The witness said the man then went over the woman and fired several other shots hitting the woman before he turned the weapon on himself. Clarke-Gowans worked at the Fort Augusta Adult Correctional Centre, while her husband worked at the Horizon Adult Remand Centre. It is understood that for some time, Gowans had being threatening his estranged wife. He even reportedly turned up at her workplace, assaulted her and threatened to kill her. However, more than a month ago when she left the home they shared, it is reported that they arrived at an arrangement for their child to spend two weeks with each parent on a rotating basis. Gowans was taking the child to school this morning when he killed her mother. The couple had been married for about 15 years. Shan Tae who identified herself as the daughter of the murder victim post this message on Facebook. My step father abused my mother for years mentally and physically. She was tired of it and left at the beginning of the year. She was filing for divorce. She was living back and forth at my house and my grandpa's house. This is not the first time he tried to kill her from the year started. She was on her way to work in the morning when he lay waited her (with my 12 year old sister in the car) he saw her and ran to her with his gun. My sister tried to hold him back saying "Daddy no, MOMMY RUN!" but he flashed her off and continue to chase after my mom. My sister continued behind him. He approached her and starting putting the gun to her head. My mom said "KC u don't have to do this" he fired the first shot in her stomach. She was a couple weeks pregnant which most person did not know but he knew. She fell to the ground. At this point my sister was beside her dad. He fired two in her back and one in her head then proceeded to put the gun in his mouth and killed him self. At the moment, he was not dead. He was gasping for air for a couples minutes well until he died. Please I share my story with all to eliminate the defamation of my mother's name and shed light on abuse. If you know anyone being abuse please reach out for help. This is the ultimate act of sadness. A 12 year old witness the murder of her mom and a selfless act of her father. Please keep my family especially my sister Patreeka and my 3 year old daughter Zoel in your prayers and thoughts as we grieve the death of my mother Deshanay Clarke. RIP MOMMY and I will make you proud by taking up where you left of being a mother to my sister 😇💘 I will always and forever love you! 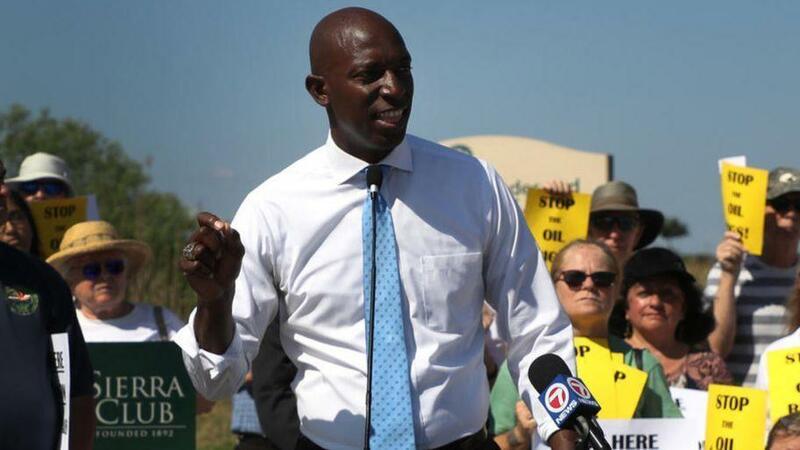 South Florida mayor Wayne Messam announces he's running for president. Messam join about 15 other Democrats already throw their hats in the ring with power house Joe Biden still on the list of people who are likely to run. Wayne Martin Messam is an American businessman and politician serving as the mayor of Miramar, Florida, a position he has held since 2015. He is a member of the Democratic Party and was first elected to the Miramar City Commission in 2011 before defeating incumbent Mayor Lori Cohen Moseley in the 2015 election. Messam is also a general contractor and owner of a construction firm. On March 28, 2019, he announced his campaign to run for the Democratic nomination for President of the United States in the 2020 United States presidential election. Messam's parents were born in Jamaica. He is the fourth of five children, and the first to be born and raised in the United States. His father cut sugarcane. He was raised in South Bay, Florida and attended Glades Central High School in Belle Glade, Florida. Messam attended Florida State University, where he played as a wide receiver for the Florida State Seminoles from 1993 through 1996. Messam was a member of the 1993 national championship team and caught 62 passes for 793 yards and four touchdowns during his college football career as a Seminole. He graduated from Florida State in 1997 with a bachelor's degree in Management Information Systems. There is no doubt Messam have a story to tell. His father was a farm-worker who came to these United States to do back-breaking work to create a better life for himself and his family. Many Jamaicans from humble beginnings have been taking the trek for decades to work on farms in America. This is hard work where they have to be in the sun all day. These are among the jobs many Americans may not want to do. This story will no doubt resonate within the often forgotten Caribbean-American electorate. But is this enough for him topple power-house Donald Trump? Is it enough for him to win the Democratic nomination? So far, he has not establish his policies which will be a key factor for the American electorate as a whole. He will also need to garner the same loyal supporters as Bernie Sanders who is already leading most of the candidates running for president. There is also Joe Biden a Democratic power-house and Kamala Harris who also have a Jamaican father...they are both supported by the mainstream media and the Democratic establishment. Whatever the result may be, this is a story that will make Jamaicans proud. It will also continue to highlight the contribution Jamaicans have made in these United States. The trial begins with Uchence Wilson and 23 alleged co-defendants, including two females and two police officers in the Home Circuit Court in Downtown Kingston. Uchence Wilson 27 years old is the leader of the notorious Uchence Wilson gang. The allegations are that the Uchence Wilson gang killed, raped, robbed and wreaked havoc in St Catherine, Clarendon, St Mary, Manchester, Trelawny, St Ann and St Andrew. Wilson and his gang is said to amass $400 million from their crime spree across the island, responsible for 12 legal firearms that were reported stolen during 18 different robberies. Two ex-employees of Cashwiz pawn shop in Cross Roads is also charged with buying stolen goods. Among those arrested are Wilson's girlfriend Shantol Gordon and his second in command Fitzroy Scott and police corporal Lloyd Knight. They got caught following a major operation by security forces in 2017. The gang faces a slew of charges including breaches of the Criminal Justice Suppression of Criminal Organizations Act (Anti-Gang Legislation) being part of a criminal organization, illegal possession of firearm, as well as facilitating serious offence by a criminal. Some gang members agreed to corporate to the authorities. Witness One: The former gang member was testifying via video link from an undisclosed location. Witness One: told court that Shantol Gordon came on the scene of a robbery to collect guns in her baby's bag. Witness One: also told the court Gordon had gone to a pawn shop in Kingston to sell and pawn stolen goods. He insisted that all illegal transactions were done at the Cashwiz pawn shop in Cross Roads. Under crossexaminaton Witness One insisted “I don't know where you get your source of information from. I did all my pawning and selling in Kingston". The Gleaner:The witness said that he decided to give evidence against them because they caused him to become homeless and, on one occasion, beat him. But, under cross-examination, the witness said that robberies undertaken by the gang had been weighing on his mind and that the influence of the Holy Spirit pushed him to give information against his alleged former cronies. The attorney asked, "What caused your conscience to bother you?" "If you see man a kick old lady, old man, kick off random people door and a rob and do them all kinds of things, your conscience wouldn't bother you?" the former gang member replied. Mitchell also asked, "Did the Lord or the Holy Spirit touch you to give statements and evidence?" The witness replied, "Yes, sir... . The Holy Spirit, sir," adding that his homelessness and being beaten by gang members further compelled him to come forward. The attorney asked the witness if his conscience had been bothering him when the gang allegedly robbed his female relative. The witness said, "That's why I stay outside, because I couldn't bear to see my [female relative] being robbed." Attorney for Uchence Wilson Micheal Howell, a newly added member of his legal team ask judge Fraser for time to familiarize the case for a defense, trial continues daily. 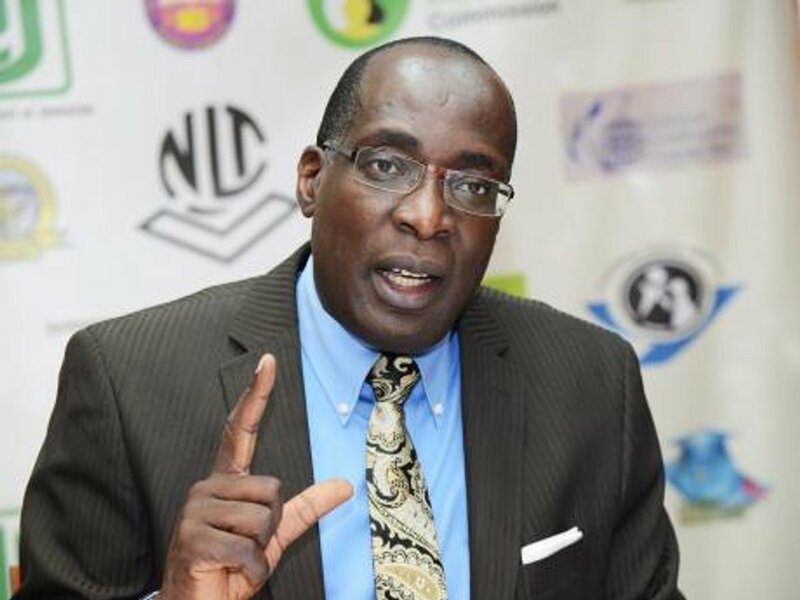 Minister of Education Ruel Reid out due to allegations of corruption at the Ministry. Prime Minister Andrew Holness released a statement on 3/20/19: In the statement, Holness said that he requested and received the resignation of Minister Ruel Reid from the Cabinet. He went on to say, Minister Reid is also resigning from the Senate. Some media outlet insisted Reid was fired. The Education Minister's firing or resignation come a day after The Gleaner reported that the Ministry is being audited by the Auditor General’s Department. The Opposition Party state in parliament they have reports of misuse of public funds and corruption at the education ministry, and suggested the Petrojam scandal is equivalent. Prime minister Andrew Holness says because of the allegations at the ministry of education. The Minister’s resignation will ensure that any investigation into matters of concern will not be in any way impeded by his presence or oversight of the ministry. According to the RJR News, Helene Davis-Whyte, President of the Jamaica Confederation of Trade Unions (JCTU), has said the Prime Minister requesting Education Minister Ruel Reid's resignation in the wake of the allegations of impropriety in the ministry shows that he has learnt from recent incidents. "The news...is heartening because at least it says that there has been some learning from the situation with Dr. Andrew Wheatley; and so, it says to us that those of us in the public domain who have been forthright in trying to ensure that principles of good governance are brought to bear on the entire governance mechanism in Jamaica, that those efforts are in fact bearing fruit,"
She also called for disciplinary action against anyone found culpable of wrongdoing. Prime Minister Andrew Holness reassured the nation that there will be no disruptions to the Primary Exit Profile (PEP) examinations now being taken by students who are about to exit the primary school system because of the resignation of Education, Youth and Information Minister, Ruel Reid, on Wednesday. 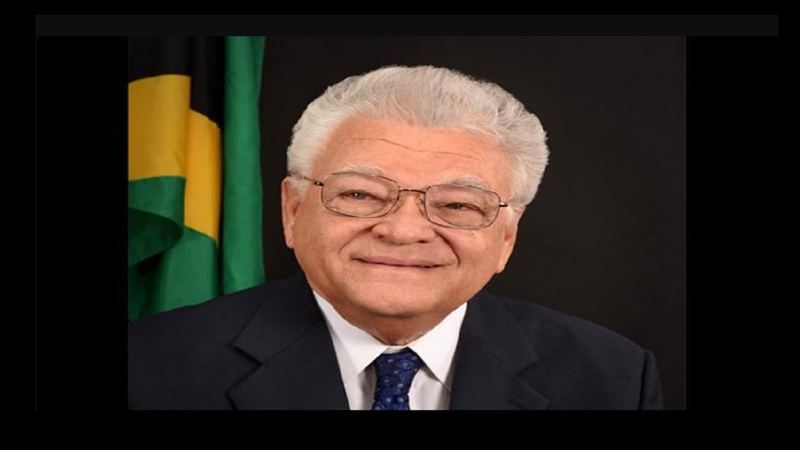 The Prime Minister disclosed that Minister without Portfolio in the Office of the Prime Minister (OPM), Karl Samuda, has been assigned to the Education Ministry to provide oversight. Fake WhatsApp posting lured hundreds of young people to Up Park Camp headquarters in Kingston, for the Jamaica National Service Corp (JNSC) program. On a daily basis, the JDF invites 60 to 80 people to sign up via the jointhejdf.com website to come in and go through a recruitment procedure. Nevertheless, on Monday March 18 more than 2,000 young men and women turned up at Up Park Camp, well groomed, but uninvited, claiming to have received the notification via WhatsApp. According to JDF’s Civil Military Cooperation and Media Affairs Officer Major Basil Jarrett, the message was more than likely sent out by scammers trying to cover their tracks after collecting thousands of dollars from people they promised placements in the army program. Basil Jarrett added, “the army typically interviews and tests approximately 60-80 applicants daily. 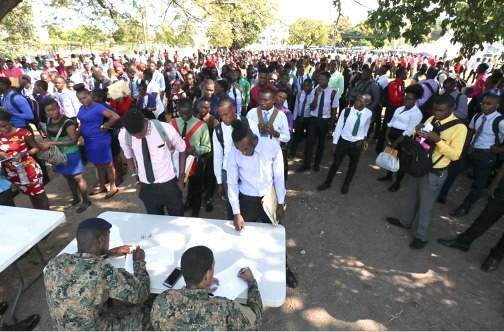 So yesterday’s turnout of 2000 people was unusual “Before anyone is call to do the interview and test, they would first be required to complete the application process online before they are notified to come in”. The Program was announced in 2017 by Prime Minister Holness, it aimed to create an avenue for young people aged 18 to 23 to be full empowered through national service. JNSC is part of the Learn Earn, Give and Save Program. It falls under the Governments Housing, Opportunity, Production and Employment initiative, targeting job and training opportunities for unattached young people. The Jamaica Defense Force (JDF) says it has launched an investigation into the origins of a “social media posting “which resulted in close to 2,000 individuals showing up at the base. The JDF in a statement sent to the media yesterday, said it is urging people interested in applying to the JNSC program to be careful about what they read on social media about the program and the application process and to be wary of unscrupulous individuals posing as JDF recruiters. According to Major Jarrett, majority of the people showed up had neither applied online nor received a call, and when we enquired as to what prompted them, we were shown the posting circulated online. “Before anyone is called to do the interview and test, they would first be required to complete the application process online before they are notified to come in. Jarrett admit that this incident was not the first time, but the first where so many people showed up. He said also that individuals have been arrested in the past for similar scamming activities but gave assurance that rigorous investigations were being done. “Some came from as far as Westmoreland. We still went ahead and registered everybody so they can be in our system, although that’s not the regular process. We didn’t want to waste their time. There was a social media posting, which I must say is fake news. Some of them have paid unscrupulous persons from $15,000 to $30,000, to get in the JDF. Persons have been meeting with scammers”. As a rule, though, all applicants to the JNSC program must register initially on the JDF's recruiting website jointhejdf.com and wait to be called. Bolt Mobility brand ambassador Usain Bolt poses atop the "Chariot" model e-scooter, which he could not actually legally ride at the New York press conference. The world fastest man Usain Bolt is now the face of Bolt Mobility. 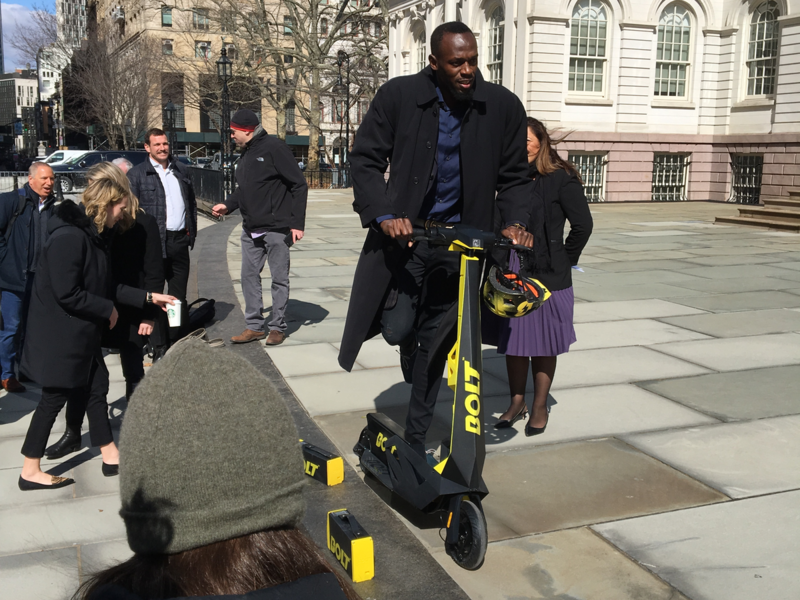 Usain Bolt, stood on the steps of New York City Hall on Tuesday to promote the national launch of e-scooter sharing company, Bolt Mobility. The Bolt Company enlisted it's namesake to be its official brand ambassador for their E-scooter. The company unveiled its newest scooter model “Chariot,” large enough to store a rider’s bags and comes complete with two cup holders. Usain Bolt rents an e-scooter in a fictionalized New York City in a commercial for Bolt Mobility. The company based in Miami Beach, already has a fleet of scooters available to rent via smartphone app for 15 cents per minute in cities like Fort Lauderdale, Florida as well as in Arlington and Alexandria, Virginia. 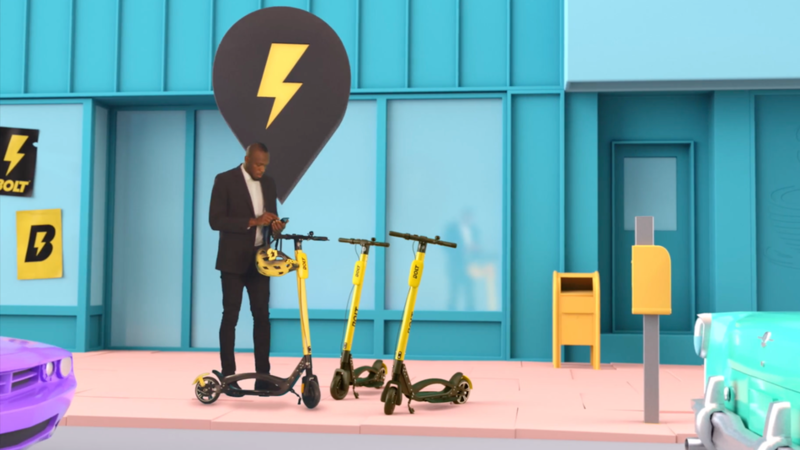 Bolt also launched a new website and boast the E-scooter could offer a mutually beneficial relationship for residents and local government alike. There is one problem, riding an e-scooter in New York City is illegal and can result in a $500 civil penalty. The rider’s scooter will also be impounded. The Mobility Company are urging lawmakers to change the ban on scooters and Governor Andrew Cuomo is on board. He now supports e-scooter legalization and the scooter companies have hired lobbyists to make sure it happen. 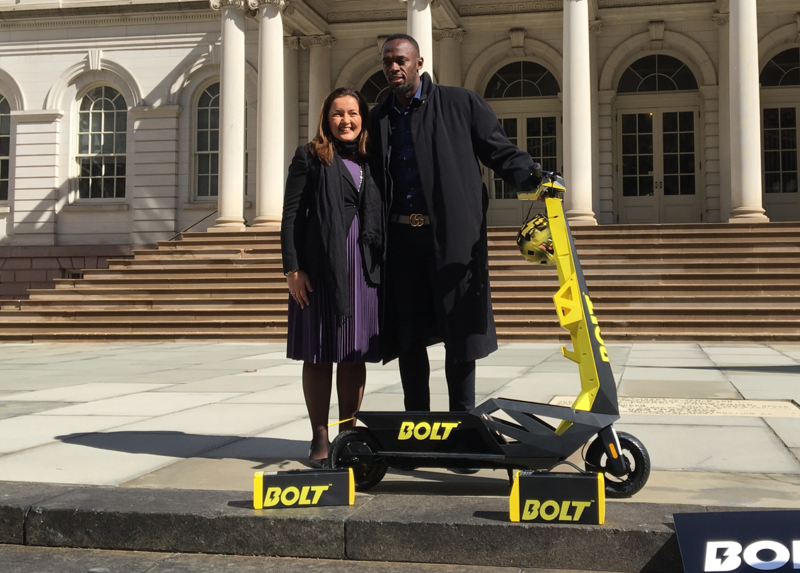 Usain Bolt and Bolt Mobility co-founder and co-CEO Dr. Sarah Haynes promote the company's national launch in front of New York City Hall. “For me, I’m an Olympian so I know about getting around quickly,” quipped the retired Jamaican runner, who is the global brand ambassador for Bolt scooters. “The first thing people always say to me when I get somewhere late is that why didn’t you run? So now I actually have the Bolt scooter to get there quicker,” he joked. “It’s really good. It’s comfortable. I have five at home,” Bolt said of the scooters that bear his name. Company executives declined to say how much the world fastest athlete is being paid for representing the brand. An Era comes to an end. 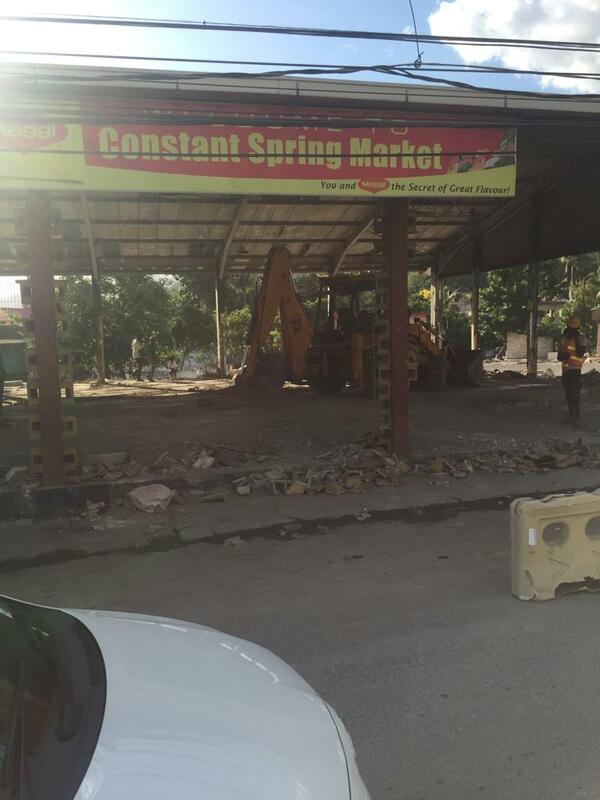 Constant Spring Market gutted. 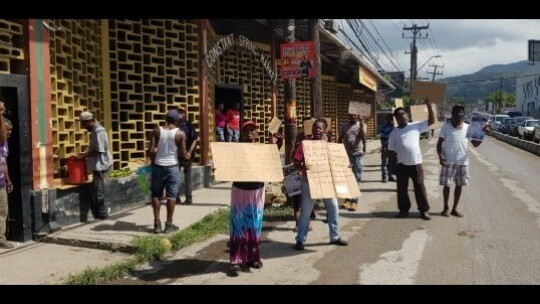 The Constant Spring Road Market was gutted today after much long debate. 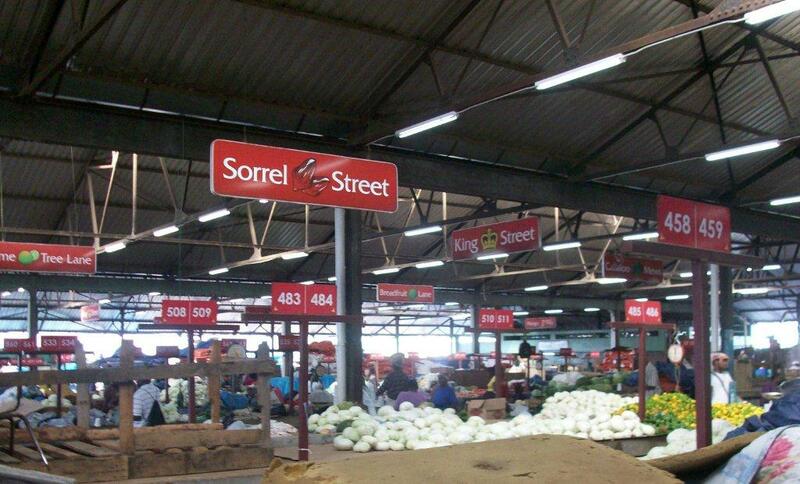 According to the Jamaica Information Service ( JIS News), the Kingston and St. Andrew Municipal Corporation (KSAMC) entered into negotiations with the National Land Agency (NLA) for the sale of the Constant Spring Market to facilitate the expansion of the Constant Spring Road corridor. The government argue however, that the space is needed to transform the thoroughfare. In opening the debate on the resolution, Councillor of the Norbrook Division, Susan Senior, argued that expansion of the roadway will lead to a reduction in travel time for motorists. Many of the vendors argue the government is against “poor people”. They explained this location is their only mode of income and moving them will cause financial distress. 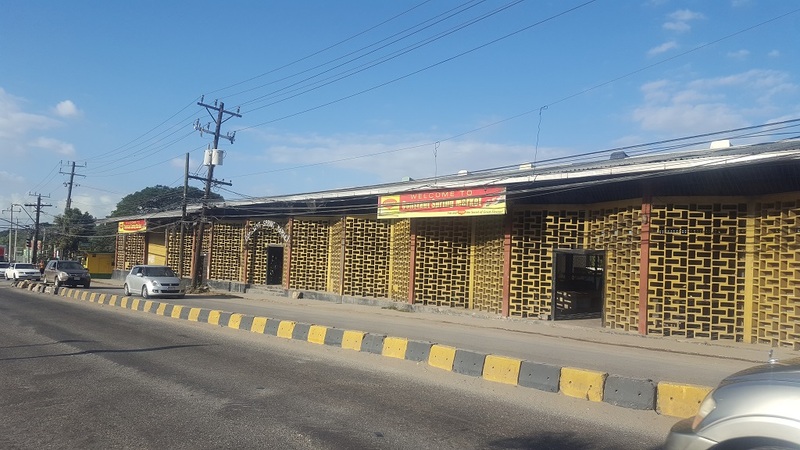 Councillor for the Greenwich Town Division, Karl Blake, noted that while the sale of the market will displace some people, “we seize this opportunity to have a proper dialogue with them and let them be a part of the development”. The vendors on two occasions got the court to issue injunctions against the government. They had over a year to find a place to relocate and the government allocated temporary accommodations. Nevertheless, the vendors were left angry and said they felt bullied by the government. The Government will spend approximately $2.4 billion (US$19 million) under the Major Infrastructure Development Programme (MIDP) to widen and improve Constant Spring Road in St. Andrew. 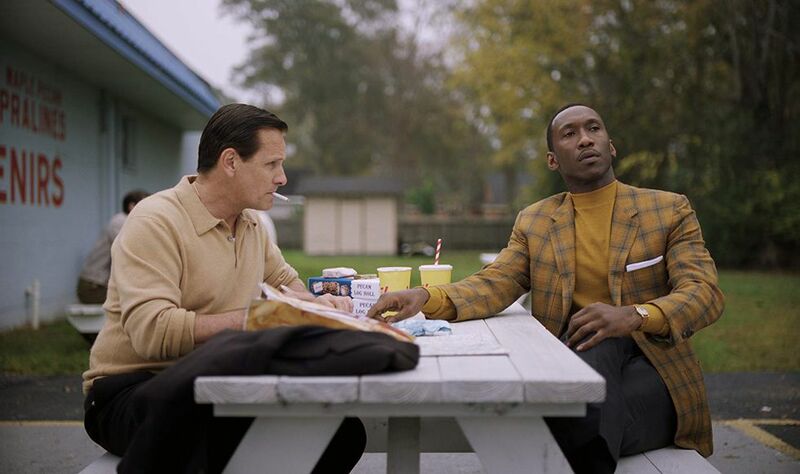 Green Book won the coveted title of Best Picture of The Year of 91st Academy Awards. The Green Book is said to be a true story about a black virtuosic piano player, Donald Shirley, 1962 tour through the Jim Crow South with his racist driver, Tony "Lip" Vallelonga. 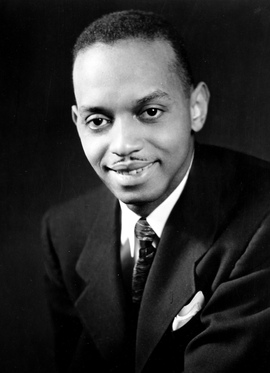 Donald Walbridge Shirley was born on January 29, 1927, in Pensacola, Florida, to Jamaican immigrants, Stella Gertrude (1903–1936), a teacher, and Edwin S. Shirley (1885–1982), an Episcopal priest. According to some reports, his birthplace was sometimes given as Kingston, Jamaica, because promoters advertised him as being Jamaican-born. Music Promoter “Roy Fowl” British Link-Up Crew and convicted drug dealer shot dead. 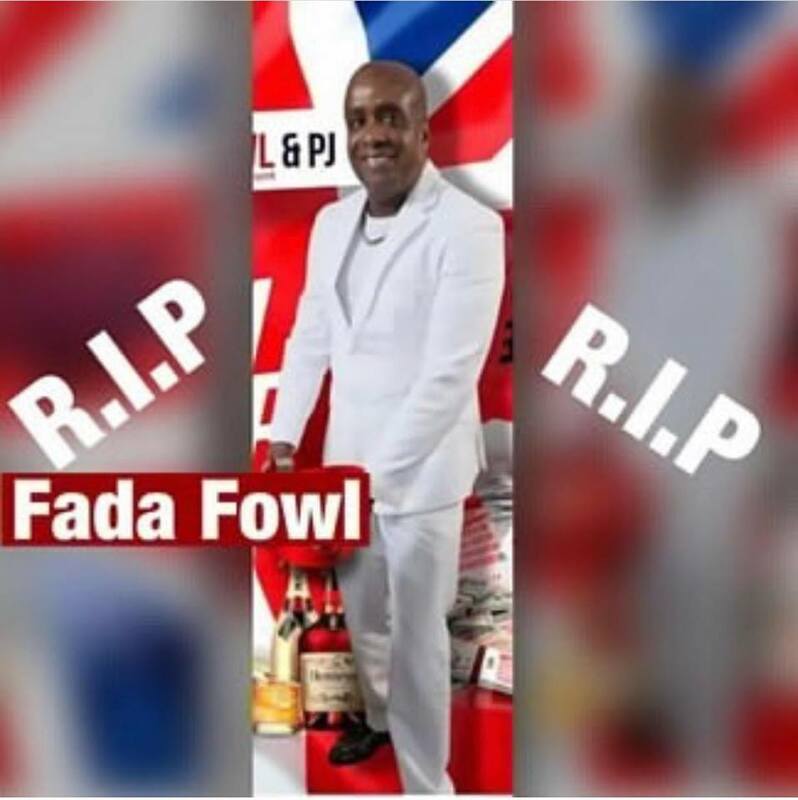 According to reports, Owen Clarke popularly known as ‘Roy Fowl’ or ‘Father Fowl', was shot and killed late Friday night. Clarke, 61, is known to be one of the founders of the popular British Link-Up Crew. They are famous for promoting lavish dancehall parties in Britain and Jamaica. Since the story broke, there have been multiple social media post expressing sadness, shock, empathy, and condolences. Owen Clarke “Roy Fowl” emerged in Britain as one of the well-known dancehall party figures in the Jamaican scene. He led a lavish life with trademarks such as burning £50 notes, leaving price tags on £10,000 designer suits and wearing expensive gold jewellery. He was highly revered on the local scene with many either loved or feared him. In the late 1990s, Clarke was alleged to have been the leader of an international drug ring for many years, operating out of his home in Sudbury, north London. He was convicted at Snaresbrook Crown Court in June 2004 for producing, supplying and possessing crack cocaine. Court documents alleged that he used women as ‘mules’ to smuggle the drug from the Caribbean to Britain. According to the BBC, Clarke was caught when a police raid yielded 51 kilograms of cocaine with a street value of £1 million. Two of his accomplices were also jailed. Clarke was sentenced to 13 years in prison, which was later slashed to 11 years after he appealed the sentence. Trident head Chief Superintendent John Coles said: "This operation is by far the biggest and most successful we have so far undertaken. "It has meant a major international drugs ring has been taken out of operation, disrupting the supply of crack cocaine from the Caribbean to London and the rest of the UK." There are reports, he owned a multi-million-pound cliff top mansion in Jamaica and drove a £75,000 Jaguar, laundered money by exporting top-of-the-range cars, of which police have recovered four, a fraction of the number he dealt with, said Det Sgt Waller. 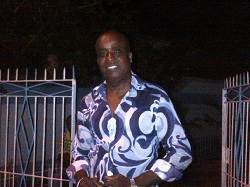 See http://jamaicangroupiemet.com/blog/2012/07/20/the-british-link-up-crew/ for detail reporting of Owen Clarke’s notorious lifestyle. Clarke was deported from the United Kingdom to Jamaica after is time in prison and has been there ever since.